The Horse Forum > Horse Riding and Horse Activities > Western Riding > Cheap Tough 1 saddle too good to be true? I've heard Abetta saddles are decent, especially for the price point. I've ridden in one once and quite liked it, though that was a few years ago and I might feel differently about it now that I've had a lot more experience. Agree with others that buying a good quality one, used, is probably your best bet. But IF you want to buy new, and are after a lightweight synthetic one, Abettas have a pretty good reputation. You can indeed get a cheap saddle that is decent IMHO, though of course, it's not likely to last as long, be made of as quality materials... but it takes some care to find one. No. 1 consideration is, be it exxy or cheap, is that it fits your horse comfortably - a huge amount of saddles are still made to make the human comfortable, without enough consideration for the horse. And I want to say, I LOOOVE your pic @aequine !! Another important thing is to buy the horse FIRST, then buy a saddle that fits the two of you. Once you get the horse, feel free to post some conformation pictures and we can help guide you towards certain brands or styles of Western saddles that may help direct your shopping. Be prepared for lots of saddle trying! It's often the hardest and most frustrating part of new horse ownership. It's also the reason most of us have multiple saddles. The saddle you find may not fit once the horse gains muscle, mature, ages, loses topline, etc. Does this seem like a good thing for me to buy or would it make more sense for me to buy a more expensive saddle that would last me longer? That's a cheap piece of junk. Don't buy it. In your opinion is it best not to have a budget and to just get the best possible saddle for you and your horse? If you want to, of course you can, but you do NOT have to spends thousands and thousands of dollars on the "best" saddle for your future horse. The most important thing is that it FITS. That is what makes a saddle "best" for your horse. There are plenty of used good-quality saddles out there. As a general rule of thumb, if a saddle is $500 or less brand new, it's junk and you shouldn't waste your time. And yes, buy the horse first before you buy a saddle. loosie, Whinnie and AtokaGhosthorse like this. Get the horse first, then the saddle...really. That saddle is cheap for a reason, & I don't think it would be a good fit for most horses...even a synthetic saddle would suffice if you are looking for something on the less expensive side, but still good quality. And we can give you some broad ideas about saddle fit from pics Connemara, but even the best set of pics won't allow us to know whether the saddle you get Fitz the horse. For that you need to measure, feel, see in the flesh... I'd advise you to learn about saddle fit & the important principles that apply, and get a good saddle fitter, or body worker out to evaluate. Ed to add... haha! Corrective txt so good... Fitz! Not a site I would recommend, to be honest. Real leather....thing is not all leather was born equal, tanned equally or crafted equally. There is nothing like actually going to a tack store and touching everything to start learning how much of a difference there is. A good synthetic would be better than a poor leather. Now the weight issue...being a big girl myself when I first started rid8ng Western I thought that looking for a light saddle would be best...now I know better...and again going into a store and hefting a few saddles around gives you a feel. There are heavy old clunkers of saddles around, built to work, and last, if the fit you and your horse then great. My preference is a slightly newer saddle, not so heavy, but with decent leather and a good tree it feels substantial to lift. Then there are the lightweights, no substance, you have to look at them and ask, is their enough weight here for what it’s claiming to be. Same as everything when you are starting out it is overwhelming and you really don’t know what is good and bad. Definitely an area where handling a lot of items helps you to ‘feel’ what is good. Really why wouldn't you recommend it??? 100 percent true but its just my opinion whatever she feels it worth her money. There are a lot of plasticy western saddles out there and in my opinion aren't mailable or can be manipulated the way a real leather one can. 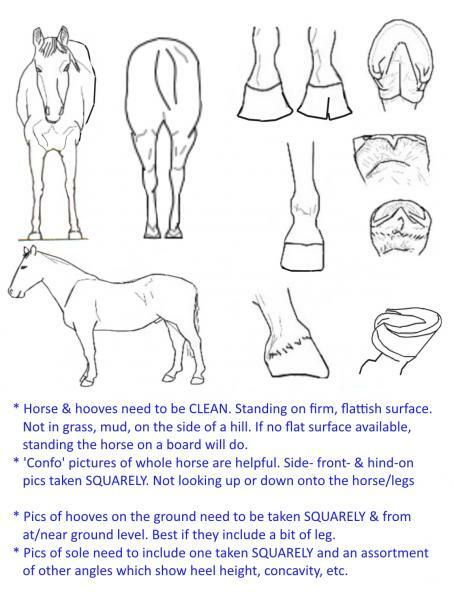 I wouldn't want to risk leaving my horse with a sore back due to crappy crafting you know? Also depends on what you think your horse would be most comfortable in. It really depends what kind of riding your doing, your own weight as well.